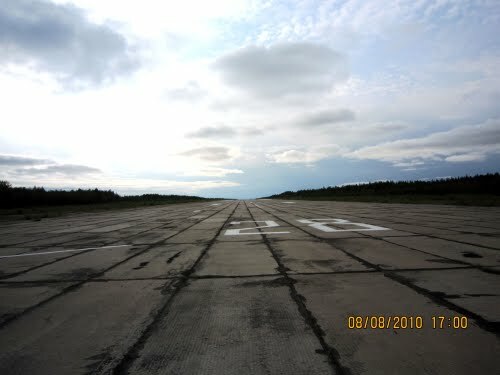 Afrikanda air field was an airfield 165km/100mi south of Murmansk, Russia. 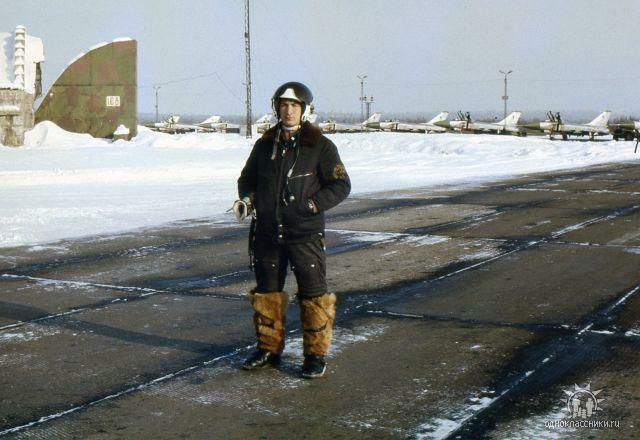 The airfield was built in 1953 as first of the first Class-2 airfields in the Arctic region. 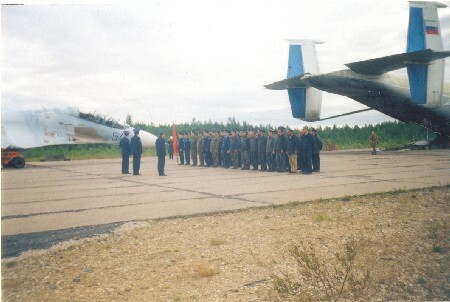 The airfield became home to the Air Defense 431th Interceptor Aviation Regiment (431 IAP, Russian: ПВО 431-й истребительный авиационный полк). The airbase was a comfortable place to live, with multi storey homes and appartments. Schools for the children of the military were also built. The base became a village in itself, named Afrikanda-2. Although the base was built as a fighter base with 30 revetments, it was used as an interceptor station. 431 IAP flew the Su-15TM for most of the time. In 1978 431 IAP intercepted and fired on Korean Air 902, a Boeing 707, which was ultimately forced to land after having been shot by a Su-15 from Poduzhemye airbase. 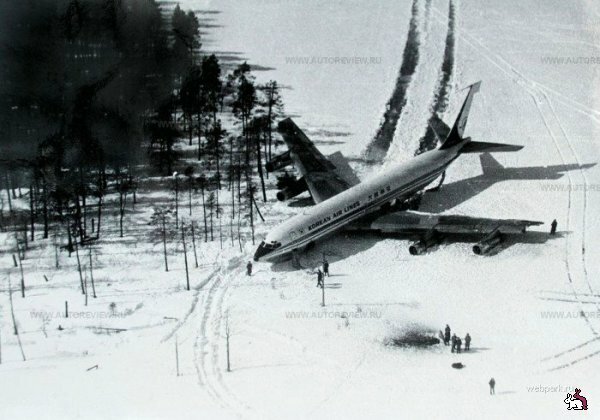 KAL902 Boeing 707 on the banks of a frozen lake where it had belly landed after having been shot by Soviet Su-15s of 431 IAP (copypast.ru). A pilot posing on the tarmac at Afrikanda with a row of 431 IAP Su-15s visible in the background (avsimrus.com). Su-27 'Flanker-B' Blue-56 taxying in after landing at Afrikanda (avsimrus.com). 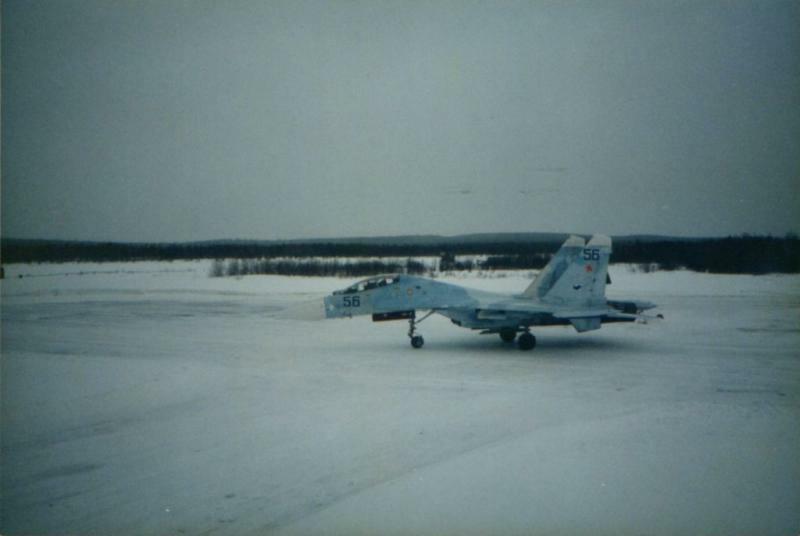 In 1993 431 IAP relocated to Rogachevo and was replaced by 470 IAP, flying Su-27 'Flankers'. 470 IAP, or the 'Guards Vilensky Order of Kutuzov Interceptor Aviation Regiment', retained much of the 431 personnel however. They also had the same mission: defending the borders of the Kola peninsula. Between 1993 and 1996 they went through some pretty intense flying. Then began the lack of spares. To keep aircraft flying, others were cannabalised for spares. Ongoing cannabalisation led to more and more aircraft not being servicable. Young pilots became captain, without ever having soloed on the 'Flanker'. Soon a disregard for flight safety began. On order to keep qualified for flying pay, pilots had to fly. Aircraft that should not fly were sent airborne to earn flightpay. Ultimately Russia could not only not afford spares, but it could not pay its pilots and groundcrews either. Shortage of money and widespread corruption let to periods of up to 5 months before any pay was received and then only 20% of what was expected. In 1999 new hope came to the regiment, as Vladimir Putin had promised to restore supplies and wages. 90% of the base voted for him to become president. After the election, everybody waited in anticipation of a better life. Six months later, on 1 October 2000, came the directive to disband the regiment, or rather: merge with 941 IAP. Although it was hoped that the airfields favourable position would mean it would remain open, the decision was made to move the new regiment to a new airfield further north. 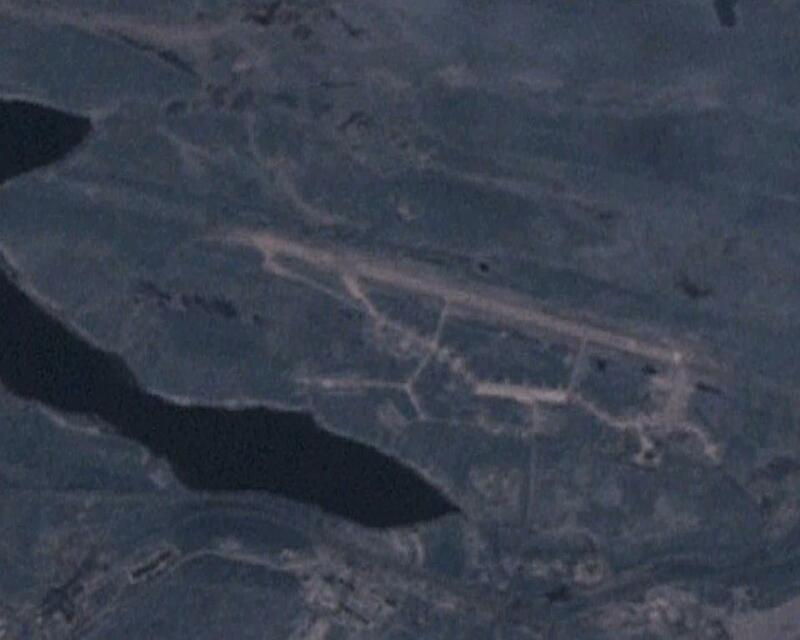 Without an air wing, the airbase remained open for a while, under command of the IAP at Murmansk. Two-thirds of its aircraft were not airworthy. All flyable jets were sent to 941 IAP and spare parts were sent to Afrikanda to make other jets operational. Although some had not been flown in 6 or 7 years, they were repaired and flown out to a depot. The remaining aircraft, which were beyond repair at the regiment, were loaded into an An-22 and flown to the depot as cargo. By 2003 Afrikanda had ceased to exist as an air force installation. A stripped Su-27UB 'Flanker-B' is being prepared to be loaded onto an An-22 (volnodumie.ucoz.ru). 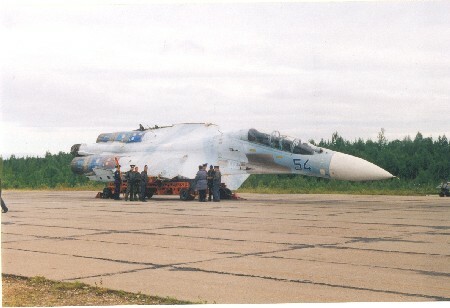 A ceremony for the final 'Flanker' to be flown out of Afrikanda (volnodumie.ucoz.ru). Most of the village is now empty and many of the original buildings have been looted. What remains deteriorates from the plantlife. Sitting in permafrost, the terrain only thawes about 20cm deep. As a result tree roots grow horizontal, damaging most of the buildings in the process. Many photos shot over the past 10 years can be seen on the Internet. Access to the base (provided you can reach it) appears to be unrestricted.